MANILA, Philippines – The National Historical Commission of the Philippines (NHCP) released a study debunking, among others, the supposed “war medals” of former president Ferdinand Marcos. Yet these claims seem to persist, notably among supporters of the dictator. All 3 medals are conferred by the United States for heroic, outstanding, and courageous acts in combat. The Distinguished Service Cross (DSC) is the 2nd highest military decoration for any member of the US Army, next to the Medal of Honor. Equivalent honors are the Navy Cross and the Air Force Cross. Third in rank is the Silver Star, which can be given to any member of the US Armed Forces, under the same grounds as the DSC. Meanwhile, the Order of the Purple Heart is a military decoration awarded to any member of the US Armed Forces who is “wounded by an instrument of war in the hands of the enemy.” If the personnel was killed in action or died due to injuries sustained in action, he or she will be awarded posthumously, with his or her next of kin receiving the medal. Filipinos who served under the US military in WW2 may receive the said medals. Official Marcos biographies provide accounts on the 3 medals supposedly received during World War II. 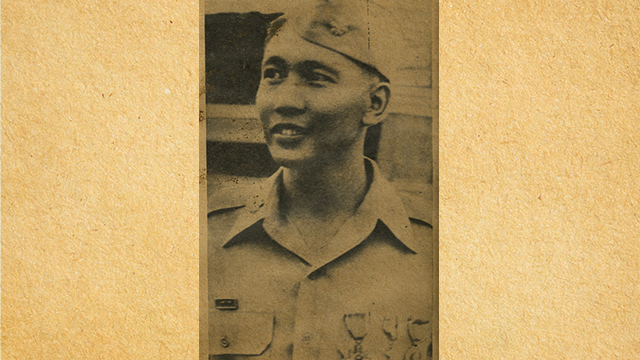 Another newspaper clipping said that Marcos was awarded two Silver Star medals. This second Silver Star, according to Marcos of the Philippines by Hartzell Spence, was for “defending Bessang Pass” from Japanese forces in Ilocos Sur. 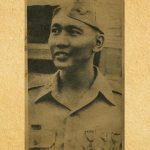 A document Ang Mga Maharlika: Its History in Brief – which Marcos provided the US military to prove the existence of his supposed guerrilla unit – also talked about the 3 medals. The NHCP, in its study, concluded that the US officials “knew that Mr. Marcos had never received the DSC and the Silver Star,” citing a telegram sent days before Marcos’ state visit to the US in September 1982. The commission also noted that the official websites of these 3 medals “do not list Maj. Marcos as a recipient of these awards.” The NHCP likewise reiterated the result of a US military investigation, where it did not recognize Marcos’ supposed guerrilla unit, Ang Mga Maharlika. The research by historian and professor Ricardo Jose was also cited in NHCP’s study. Jose said that he was not able to find any reference to a claim in Marcos’ biographies that General Douglas MacArthur himself pinned the Distinguished Service Cross on the young major. Gillego likewise disproved Marcos’ claims about the US war medals. In his research, Gillego discovered that out of the 33 medals Marcos reportedly received, only two could be given during the war: the Philippine Gold Cross and the US Distinguished Service Cross. Nonetheless, these two citations were debunked by two of Marcos’ superiors themselves in the 14th Infrantry, whom Gillego was able to interview. Two retired US war veterans refuted Gillego’s findings. But another investigation by then-Washington Post assistant foreign editor John Sharkey found no records from US military archives and World War II survivors to corroborate Marcos’ US war medal claims. “An 18-month effort to verify Marcos’ claims to high American decorations raises serious doubts about whether he actually was awarded them,” Sharkey wrote. There were also doubts raised about Marcos’ travails at Bessang Pass. An ABS-CBN reportquoted the son of Colonel Conrado Rigor Sr as saying that his father was the real hero of Bessang Pass, and that Marcos was not even there.